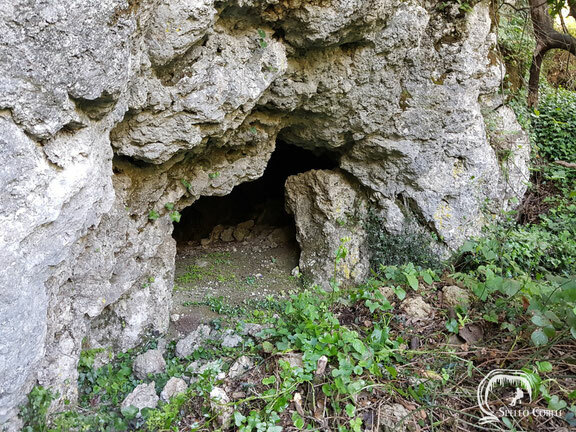 Cave on the rocks in Glyfada - Website about caves on the island Corfu. Above the sea and on the rocks at Glyfada a small cave is located. Climbing scales are necessary.